It's good to be cared for. It's great to be cared about! We are dedicated to providing a premier home care experience with caregivers who share our commitment to high standards. We provide a complete approach to caregiving for the whole person - mind, body, spirit, and environment. 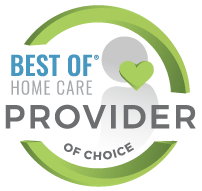 Considering home care? Become a caregiver. 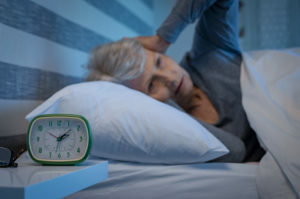 Absolute Companion Care is licensed as a Residential Services Agency by the Maryland Department of Health and Mental Hygiene, Office of Health Care Quality. Our license number is R4138. We are also a Better Business Bureau accredited business with an A+ rating. Our educational leadership philosophy and our model of team caregiving lead to premium care and companionship at an “executive level” – elder care you should expect. We love what we do and we’re committed to improving (not just maintaining) your lifestyle wherever you call home. Our professional in-home care services are customized to meet your unique needs. Our carefully selected caregivers are extensively trained, mentored, and evaluated by an RN. They are committed to upholding our company values and mission and are our best ambassadors. Want to know more? 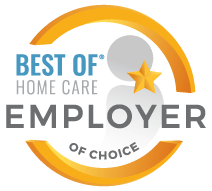 We've answered some of the most frequently asked questions about our Maryland home care services and our caregiver qualifications on our FAQs page. Our Care Is Beyond Compare! On behalf of my family, we wanted to express our gratitude toward your caregivers who made my father’s last 6 months the best they could be – at home surrounded by kindness and compassion. He referred to the Absolute Companions as “Nick’s Angels.” We instituted your services hours before the 30” snow in January. When there was barely a car on the road, Agnes, Mercy and JoAnne did not miss a day. They walked through darkness more than a block on unplowed roads to reach my parents, without a single complaint. The physical and emotional support provided by your team was wonderful. We are extremely happy with the service provided by Absolute Companion Care. My husband is in the best frame of mind on the days that our caregiver is scheduled. She is so thoughtful, considerate, and accommodating. Thanks again. You have been amazing and very caring and wonderful to me. I hope you know how much I appreciate all of your help. I loved your personality and your very kind manner. You helped me tremendously. You have no idea how much comfort your caregivers have been to us, the family, and to Mother. You stepped in at a difficult time in our lives and filled a tremendous space. You have given me such comfort knowing that Mother was in your care. You kept us advised of any concerns you had. Does this sound like too much praise? Well, in my mind, it is not enough. You put a team of caregivers in place for us with minimal notice. I will gladly recommend you to others. I am so grateful for the way you have committed to finding the right match between the caregivers. You have been right-on every time. I want to commend your caregivers for the dedicated and truly loving care they provided my husband. My husband felt completely secure with their ministrations, enjoying whatever conversations he could be part of. My thanks to you for making sure his needs were met. Your group gave fine service. I had an excellent experience with Absolute Companion Care. They were extremely thoughtful, knowledgeable and helpful as we worked through the options. I greatly appreciated that, since I had never used an agency like this before. The caregiver was kind, thoughtful, upbeat, very helpful, and professional. While it turns out we only needed their help for a short time, I will surely turn to them first if we need care again. When my mom was discharged from rehab after a broken hip she needed more care than we could provide and quickly. Our goal was to keep her home with us, safely and comfortably. Absolute Companion Care responded to our need immediately and placed excellent care providers. The care providers were professional, caring and skilled in hands-on care as well as emotional support. They accompanied us to family gatherings, which enabled my mom to attend in a dignified way and enjoy being with her family. They were always on time and even stayed over if my mom needed more care. Scheduling was so easy and I never worried whether I would have a competent and caring aide - this included weekends. This is especially important in Northern Baltimore County where care can be a challenge - but not with ACC. I highly recommended Absolute Companion Care if you want extraordinary care for your loved one. We have used other companion care companies and Absolute Companion Care by far exceeds them. The personal relationship we feel between the office and caregiver helps us feel comfortable with the level of care we get for our mother. Reachable 24/7 is a big plus. I would recommend them to anyone looking for the best care at any level. The Absolute Companion Care team that worked with our family was truly wonderful. They treated my mother-in-law with care, respect and kindness. Having a reliable and knowledgeable team working with us made a huge difference. When my mom was discharged from rehab after a broken hip she needed more care than we could provide and quickly. Our goal was to keep her home with us, safely and comfortably. Absolute Companion Care responded to our need immediately and placed excellent care providers in the home. I had an excellent experience with Absolute Companion Care. They were extremely thoughtful, knowledgeable and helpful as we worked through the options. I greatly appreciated that, since I had never used an agency like this before. The caregiver was kind, thoughtful, upbeat, very helpful, and professional. On behalf of my family, we wanted to express our gratitude toward your caregivers who made my father’s last 6 months the best they could be – at home surrounded by kindness and compassion. Just wanted to thank you for all your efforts to coordinate care for my mom. I just spoke to her this morning and she is absolutely thrilled with her caregiver. They spent 4 hours together yesterday and my mom had a wonderful time shopping and conversing, as well as getting a good healthy dose of walking which she has sorely missed for some time now! I can’t thank you enough for the peace of mind your company has brought to us. You truly found a perfect fit for her!